Pamper your furry companions with dog and cat grooming services from the team at Claudette’s Creative Clippins. 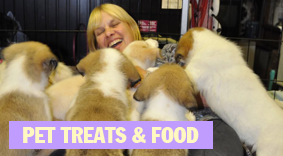 Our salon specializes in pet specialties, meaning we cater to you and your animal and provide for all your needs. 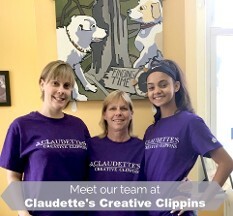 Save time and money on the care of your animal with help from Claudette’s Creative Clippins, a pet salon in Unionville, Connecticut. 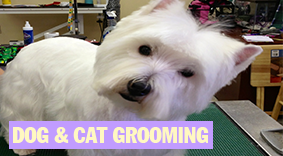 With more than 25 years of experience, our salon specializes in dog and cat grooming services. Our compassionate staff doesn’t just groom your pets, we take care of them. During their session, we check for lumps, bumps, and bruises to ensure their overall health. 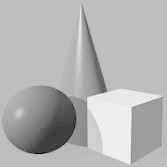 Clients love our work, and we have a great rapport with several of our clients. We treat you as friends, sharing both the good and the bad situations with your pet. Our owner, Claudette Munson, thoroughly enjoys her business, clients, and the services she provides. Claudette: Owner of Claudette's Creative Clippins. Claudette has been in the grooming industry for over 30 years. Opened her own shop about 25 years ago serving the Farmington Valley. As a Connecticut native she loves the outdoors and all of the beautiful trails that New England has to offer; hiking daily with her big fur ball Great Pyrenees crosses Addie and Marley. Claudette's focus in the shop is the well being of all pets that come in for grooming and making sure they look and feel their best for the particular needs for each breed. Providing the best shampoo treatment for each pet as individuals; in regards to their skin and coat needs. Making sure the dogs are comfortable and enjoy their time in the shop. Meghan: Has been with Claudette's Creative Clippins for 17 years. She does comb outs, nails, ears and prep work bathing. She is the best bather! Liked by all four legged and two legged clients. She has 3 dogs Lacey, Kitty, Dalya and many other pets at home including cats, a rabbits and snakes. Meghan's love and care for the pets that come in for grooming and attention to detail are a tremendous help to me (Claudette) and help my shop run smoothly giving your pets the care they deserve! Thank you, Meghan for all of your hard work. Marrisa: She has been with Claudette's Creative Clippins for 2 years. Marrisa started out through her school and became a big help. She does cleaning, answering phones, helps with customer service and does some bathing prep work. She has two dogs Trooper and Sophia. It's been fun to get to know Marrisa and watch her excel. Excited to watch her grow. 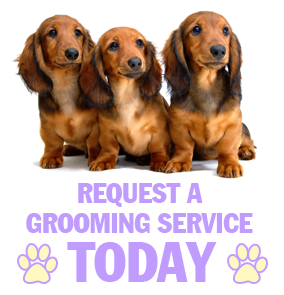 To request a service or to schedule an appointment at our pet salon, contact our team in Unionville, Connecticut.